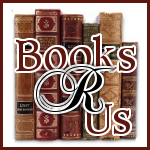 I want to welcome William Campbell to Books R Us. William is the Author of Dead Forever: Awakening, book one of the Dead Forever trilogy. Thanks for stopping by. Thank you for this interview, William. Can you tell us briefly what, Awakening, is all about? Awakening is the first of three books that make up the tale of Dead Forever. Book one begins with our hero suffering from amnesia. Without a past, he regards himself as insignificant, but he is not the loser he imagines, as he learns when agents in black come to collect him. Through a series of bizarre events, he learns that he is much more, and that he has a long past—stretching over lifetimes—spent fighting his conformist enemy, who are the very people responsible for his memory loss, which was no accident, rather an engineered mind-washing. The world he is thrown into is similar to our own, except that people reincarnate and they are fully aware of it. Fallen rebel soldiers report to body farms to obtain fresh adult bodies, and due to the circumstances of war, never get a chance to be children and grow up, maybe have a little fun. This becomes another of the hero’s struggles, fueled by his desire to end the war and be a child again, as he moves through a character arc that takes him from an apparent loser, and advances him toward a higher state of being. The story explores deep subjects, but packs enough humor to keep from getting too heavy, and also offers a glimpse of camaraderie between the characters, along with rising sexual tensions and the resulting conflict as the hero remembers more of his past. For readers concerned with content, a warning: this work does contain adult situations and some profanity. Not a lot, but any is more than none. Dreams, which any reader should soon realize, are a central theme of this work, in which nearly every chapter opens with the hero dreaming. Part of the fun is realizing which are dreams and which are not, even more so in the sequels. My own dreams were the inspiration for the hero’s, though much has been exaggerated for dramatic effect. Awful. My work is too unlike books that sold well last year, a good thing on one hand (we all crave for something different, yes?). But on the other hand, publishers are uncomfortable with the unknown, particularly from an unknown author. My controversial work is too big of a gamble for them. There was plenty of interest, but all ended in rejection, I believe for the very reason of the work being too “out there.” I came to the conclusion that I could do the job as well myself, since I’ve worked in the printing industry all this life. The steps in book production are not foreign to me, and tasks I couldn’t do myself I’ve hired out, mainly a splendid editor and a talented cover artist. I’ve worked on this project for nearly nine years. It started as one book, but grew too large so was split into three. An epic, I suppose. Those years have been spent writing, going back and forth to my editor, and rewriting to fix all that she found wrong, over and over again, until getting it right. It takes time to find your voice and gain confidence in your own writing. The publishing aspect is no easy feat, either, though does not take so many years, rather months. In the case of Awakening, once all editing was complete, it took three months for actual book production and establishing distribution. The steps after writing are as difficult and time-consuming, but in the end, all the effort spent writing, editing and rewriting, typesetting and designing a cover, is rewarded ten-fold when a reader comments, “This book is brilliant!” (from an actual review posted on Amazon). Why did you pick the genre of Science Fiction? Sometimes I think it picked me. I’d guess sci-fi because I’m technologically-inclined myself, being a wire-head, computer nerd techno-weenie. I also picked it because I had to pick something, when really, the story is well outside the boundaries of strictly science-fiction. It’s more like Space Opera mixed with paranormal romance and the supernatural, since topics include reincarnation and out-of-body experiences. And the journeys through the hero’s dreams and his subconscious at times blend in philosophy, however strange and obscure. As well, the work contains a powerful love story, a love between people so strong that it spans lifetimes, a love that transcends death. Actually, I don’t think of the story as science-fiction. It’s about people and their problems. Sci-fi is more the stage on which the story is played out, not so much the core topic of the tale. And the story is not about man versus machine (I for one am sick of that theme), rather a conflict between people, their difference being ideology more than anything scientific or technical. People battling over what each believes is the right way to live, their way in which they live. That’s tough. I love them all. And it’s hard to answer if I stick only to Awakening, because there are characters to come in the sequels that I just adore (and so do test readers so far). But if I must answer the question in reference to Awakening, the favorite character would have to be Madison. That’s my girl in dark hair and pigtails showcased on the cover. A favorite for the obvious reasons—she is gorgeous—but she is far more. Uninhibited and a mean spitfire when the occasion calls for action, but at the same time she is incredibly caring, and a vehicle for many tender feelings this author sought to convey. Her complexity and strong desires make her interesting to read and explore. Question the advice that others give you. Even me, right now. Listen and judge for yourself. For example, writers are often advised to “read a lot.” I disagree. When you’re reading, you’re not writing. To win a gold medal at figure skating, you don’t watch the Olympics. You skate. To be a rock star, you don’t listen to music, you play your guitar every day. Star athletes didn’t get where they are today by watching others to see how they “just do it.” They invent how’s it done. All endeavors are achieved through relentless practice, and with writing, the journey to discover self begins with expression. Write, write, and rewrite, and let your voice pour out. This is not to say you shouldn’t read—of course everyone should read—but do it for your own enjoyment, not because “to be an author, one must read a lot.” Rubbish. To be an author, one must write. How much is your choice, but remember, the more we write, the clearer our voice becomes. Some authors seek to be prolific, and write a small library of stories. Others choose to focus on a few they care for deeply, and through the process of revision, rewrite extensively until perfection. In either case, writing or rewriting, it is still writing, and it pulls out your voice. Whether you choose to be prolific or nurture a few darlings, you are an author in either case. How many books you have published is not the measure of success, though in this world, we are often judged by the number rather than the quality of each. But all that is my ranting about the fixed-ideas associated with creative writing. To be more helpful, I’ll dispense some actual advice. Watch your adverbs, especially when it comes to the overwhelming urge to tell readers how a character delivers a line of dialog. If you, the author, need all the extras to tell us that John ‘angrily’ said “I don’t care,” then perhaps you need to look at the dialog itself. Let what is said deliver the emotion you hope to convey. “I’m done caring about your mistakes.” Or have the character engage in an action that shows it. “I don’t care,” John said, and threw his glass into the fireplace. And there’s nothing wrong with the occasional ‘John was angry,’ followed by his dialog. It’s okay to ‘tell’ once in a while, just make it short and sweet. In any case, we all tire of characters angrily snapping and longingly gushing, although that too is okay—once in a while, when it fits. Another example of taking advice to the extreme, as we learn to avoid adverbs and ‘show don’t tell.’ Reduce, not eliminate. Both are okay in limited degrees, just not every other line. Stick mostly to he said, she said, and add the others now and then. As an exercise, take a passage of dialog you’ve written and strip it down to strictly he said, she said. Take out as many dialog tags as possible, leaving only enough to make clear who is talking. That’s your story. If it’s not good enough to stand on its own, start rewriting the dialog. Then come back and add the extras, intersperse with description of the scene, preferably actions or even telling, rather than an endless string of adverbs. Thanks for the interview, William. Can you tell me where we can purchase your book? Thank you for the interview, Melissa. Your interest has been a delightful inspiration. William began his career in the printing industry when a teenager in Los Angeles, starting as a paste-up artist back in the days of rubber cement and Letraset. Working as a press operator followed, and with an interest in photography, he became a lithographic cameraman and film stripper. But another interest was to serve him best. William began tinkering with computers early on, at a time predating Mac or PC. Over the decades since, William has exploited his talents to excel in the printing industry, another of many reinvented by the computer revolution. William is a early adopter and pioneer of Adobe's Portable Document Format, and consultant to graphic arts enterprises employing the format in their workflows. Today William resides in Portland Oregon where he operates the pre-media services provider Revere Graphics. His current technology interests are content conversion to ebooks, and their greater spread into the mainstream. "The teacher asked us to write a story, anything we could imagine. So I did. Some kids go scuba diving and discover an alien city underwater, then other aliens come to attack and the entire world is destroyed by nuclear war, except for the kids who were underwater at the time. They surface to find the world devastated and have to start life over as cave people. "When I turned in the story, my teacher was horrified. The problem was, at the height of the Cold War, kids talking about atomic bombs and the end of the world was a little too close to home, at a time when we had drills, you know, the siren goes off and we crouch under the desk, like that was going to do any good. At any rate, the teacher said, and I quote--never write anything like that ever again. For thirty years I didn't, until one day it occurred to me, why am I not writing stories? I was writing plenty, but none of it fiction. Then it dawned on me, and that I had totally forgotten about that incident long ago. It's funny how we forget things. Anyway, I got busy and wrote a story--Dead Forever. Better late than never. Heck, maybe someday I'll rewrite the underwater alien thing."